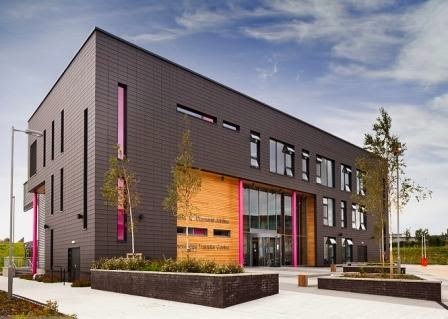 Precision window actuators from SE Controls are being used as part of an energy efficient natural ventilation system at Sheffield University’s Nuclear Advanced Manufacturing Research Centre (NAMRC) in Rotherham, to help maintain a comfortable environment for researchers and staff. Work at the NAMRC focuses specifically on innovative research into metals and manufacturing engineering, rather than radioactive research and the new BREEAM Excellent rated building, which was designed by Bond Bryan Architects, is based around an open plan 5,000 m² workshop that incorporates cutting edge manufacturing equipment and facilities. 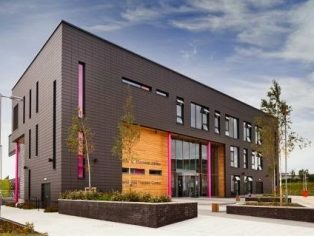 As the building already employs low energy and renewable initiatives, such as 320kW ground source heat pumps and a 900kW wind turbine, the use of natural ventilation was an ideal solution, as the temperature and air quality can be maintained within clearly defined set points while minimising the need for additional mechanical cooling. To provide the high degree of control required, SE Controls, supplied, installed and commissioned a range of chain actuators, which are linked to the NAMRC building management system and are used to control the operation of the high and low level vents. Twenty TGCO 24 15 actuators with a 350mm stroke length were installed on the building’s high level exhaust vents, while the need to protect against finger entrapment on the low level louvres prompted the selection of eighteen SE Controls’ TGCO 24 20 ‘Easi-Drive’ compact actuators each with 160mm stroke length.